16th century miniature map of the Ottoman Empire, or Turcicum Imperium as it is called here. Turkey is a geographical and cultural bridge between the east and the west: a modern Mediterranean country that aims to provide a high standard of living for its members according to European norms, while still preserving its rich eastern and Islamic cultural heritage. With nearly 70 million people, two-thirds under the age of 35, Turkey has one of the largest and youngest populations of the continent. Turkey formed her new secular republic under the leadership of Atatürk in 1923, who aimed to create a modern and stable country. This was in the aftermath of the First World War, a period in which the map of Europe was being radically redrawn. Several countries won their independence, and, with the rise of communism, the boundaries of east and west began to shift once again. Turkeys relations with the rest of Europe entered a new era, and the image of the Turk changed in turn. However, today, when this entity Europe is still viewed by some as a Christian club, it is worth looking into the image of the Turk in European imagination. It is an image that has its origins in a mixture of fact, fantasy and fear. Many of us are aware of the Late Victorian and imperialist projections of the Turkish people as a threatening race, culminating in the notorious reference by the European powers to Turkey as the sick man of Europe in the Congress of Berlin in 1878. What we may not realise is that these attitudes are based upon a long pre-history in which the Western image of the Orient was shaped by a considerable body of literature, stretching from Christopher Marlowe to Thomas Carlyle. It is this glimpse of a colourful and deep pre-history which I wish to explore here. During the middle ages, Europes perception of the east was centred on questions of religion. What kind of religion was Islam? Indeed could it be considered a religion at all? At that time the answer was unequivocal: Mahomet was the Antichrist, and the spread of Islam was a success for the devil. The Ottoman Empire was founded in 1299. By the 14th century it was rapidly gaining in power, pushing its boundaries as far west as the Danube. Increasingly, Islam was to be associated exclusively with this new and threatening political presence. European countries tried to couch the advance of the Ottoman armies in strictly religious terms, although the Ottoman conquests were economic and military ventures. The Ottomans were a soldierly nation and new conquests provided the soldiers with booty, quickening their thirst for territorial expansion. The Ottomans also extracted taxes from the newly conquered lands, which in turn invigorated the empires economy. The Christian response was to call for a new crusade  resistance to the Ottoman advance. Between the Ottoman conquest of Istanbul in 1453 and the treaty of Karlofça in 1699, the Ottoman Empire continued to expand rapidly. During the reign of Suleyman the Magnificent (152066) in particular, the Empires frontiers were pushed to the gates of Vienna, precipitating a confrontation between Christian Europe and the Muslim Ottomans. To his own people, Suleyman was known as Kanuni, meaning law giver, but it was during the reign of the Magnificent that Europe truly learned about Ottoman military force. 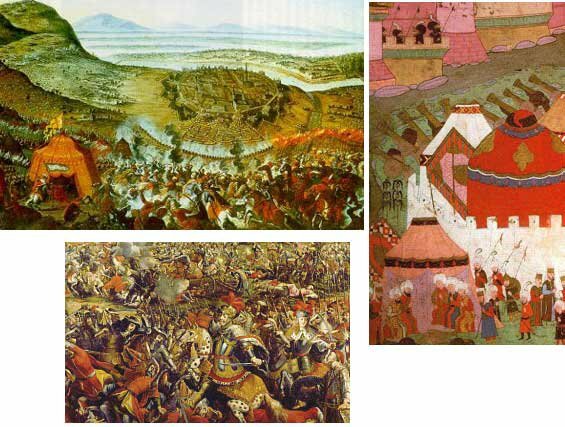 Suleyman captured Belgrade in 1521, and Rhodes in the following year. He defeated the Hungarians and added the south-central portion of Hungary to his empire. He waged wars against Persia and conquered the region around Erzurum. The naval strength of the Ottomans by 1538 was formidable. His trusted admiral Barbarossa (Hizir Hayreddin Pasha) won a sea battle against the combined naval forces of Venice and Spain. Meanwhile, the English literary imagination had been creeping east. Writers, such as Sir John Mandeville with his travel tales (circa 1366), and Lydgate with his Fall of Princes (1431), were drawing literary attention to the eastern world  already offered to the European imagination as lands of mystery and exoticism. But it was only with the reign of Elizabeth I (15581603) that any concrete relationship between the Ottoman Empire and England developed. At that time the Venetians were losing their power as the main traders in the Mediterranean. Not only had they lost the trade ports of Cyprus, Crete and Corfu to the Turks, but trade in the Mediterranean was brought to a standstill by SpanishPortuguese, SpanishOttoman and OttomanIranian wars. The way was open for a country to exploit these trade routes. England was able to capitalise on its naval power, and with this unprecedented motion beyond the borders of Christendom, English literature began to depict the Turk in earnest. With the invention of the printing press and the rise in literacy, the English public had come to believe in the authority of the printed word, in the knowledge they received from books. Printed texts became important tools for spreading knowledge, true and false. Histories were invested with a particular aura of veracity, and it is on the mixture of fact and stereotype purveyed by these works that the fictional presence of the Turk in English literature was largely based. Christopher Marlowe, Shakespeare and Dryden all draw upon a limited corpus of material to generate their overwhelmingly negative images of the Ottomans. In his play Tamburlaine, Marlowe gave his Christian public the Ottomans they really wanted to see. 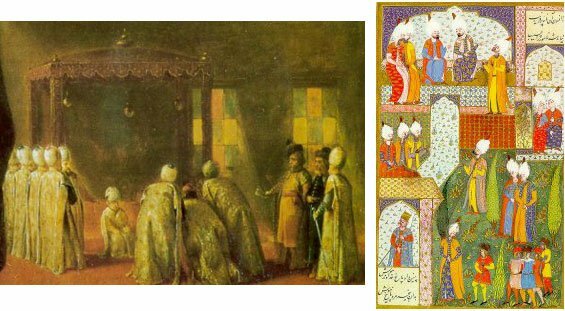 Marlowe depicted the 14th century king of Samarkand as a ruthless monarch, utterly without mercy, but endowed with the requisite courage and will to subdue the Moslem world of Turks, Syrians, Persians and Tartars. Bejazet is based on the historical Ottoman Sultan Beyazit. 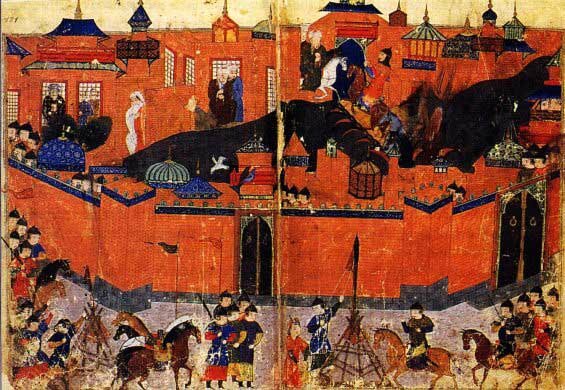 In a dramatic moment of Christian wish-fulfilment, the Mongol Tamburlaine puts the Ottoman Sultan in a cage and parades him around the stage. Rather than suffer such an indignity, Bejazet takes his own life by banging his head against the iron bars. Marlowes main historical sources were the Vita Magni Tamerlanis (1551) by Petrus Perondinus and Pedro Maxia, whose Life of Timur in his Silva (Madrid, 1543) was anglicised by Fortescue in his Foreste (1571). From Maxias work he took information about the career and defeat of Bejazet and from Perondinus, information about Tamburlaines origins, career and character. Further details were supplied by the works of Poggio Bracciolini and Combinuss Origin of The Turks  sources which unanimously stress Tamburlaines negative qualities, his pride and cruelty. With the rise in Protestantism, the image of the Turk became embroiled in sectarian polemics. As Europes non-Christian other, the Turk was often compared to the opposing Christian sect. though he come into Christendom with a great army and labour to destroy all.Hence, Marlowes Tamburlaine is the scourge of God par excellence, albeit in the context of bringing down divine retribution upon the Ottoman Sultan. Bejazet: First, thou shalt rip my bowels with thy sword, And sacrifice my heart to death and hell. Before I yield to such slavery. Here, Marlowe follows the custom of the day in his conflation of Islam and Turkishness. Islam is represented by Marlowe as an absence of faith  an other defined purely by opposition. The Ottoman, by clinging to this non-faith can only be seen as inferior to the apostate Tamburlaine. The valiant knight of Rhodes in Kyds Soliman and Perseda (1592) says of the Soliman, I must confess Soliman is kind/ Past all compare, and more than my desert, while George Peele in his Battle of Alcazar (1588) describes Amuraths soldiers as brave and honourable. In the 17th century, several translations of the Koran appeared, as well as lives of the prophet Mohammed and histories of the Turks. This was more to do with a curious interest in the exotic than a sudden interest in comparative religion, but it is notable that the corrupting influence of Islamic material was deemed to be weaker than in the past. Negative images of the Turks are seen in works such as the sermon of the famous preacher Isaac Barrow, Of the Impiety and imposture of Paganism and Mohammedanism, and Humphrey Prideauxs The True Nature of Imposture Fully Displayed in the Life of Mahomet. But in the sphere of historical writing, more objective material was also beginning to circulate. Sir Paul Rycaut who had spent six years in Turkey produced a seriously informative work named The Present State of the Ottoman Empire, Containing the Maxims of The Turkish politic, The Most Material Points of The Mohammedan Religion (1668). Drydens AurengZebe (1675) presents the Orient as a battleground; but this time it is the Mongol Kings sons that fight with each other. In Don Sebastian (1689) the Muslim world is again described as cruel, tyrannical, and sensual. The Mufti, the highest authority among Muslims, appears as the comic character in the play. Nevertheless, Dryden uses the eastern element in his play to give it that exotic air that was still so in demand. With the start of the 18th century, the interest in the Middle East and Turkey increased. On a political level, the Turks no longer presented such a fearful threat. When the Karlofça treaty was signed on 26 January 1699, the Empire lost most of its European possessions, and Ottoman branches of influence in Europe began to wither. The empires military forces were weakened by the wars with Austria and Russia, while the question of control of the eastern trade was causing major unrest in the Middle East. While the influence of the Ottomans in Europe receded, the European powers pushed their influence aggressively eastwards. The East India Company promoted the idea that in order to develop the commercial deals with the east one had to first study their culture and language. The English public still enjoyed the exotic other of Turkish Tales and the Tales of the Arabian Nights. 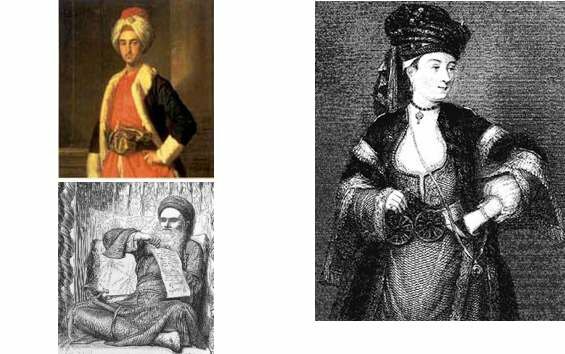 However, amongst the many writers dealing with the Turkish theme in their books, we see a more authentic picture of the East emerging in Lady Mary Wortley Montagus The Turkish Embassy Letters (171618), Beckfords Vathek (1786) and Johnsons Rasselas, Prince of Abyssinia (1759). Lady Mary Wortley Montagu came to Istanbul when her husband was appointed ambassador. In her letters she draws attention to the fact that the knowledge of Turkey available in England was generally biased. This redoubtable woman confessed herself more interested in the Turkish way of life and people than the architecture and the setting, remarking in one of her letters, I took more pleasure in looking on Fatima than on the finest piece of sculpture. She also draws attention to the fact that many religious leaders have invented out of their own heads a thousand ridiculous stories in order to decry the law of Mohammed. She wrote admiringly about the inoculation against smallpox used by the Turks for many years, introducing the practice to England. The heroic in history In the 19th century, it became easier and easier to travel: touring to the Middle East became very popular. 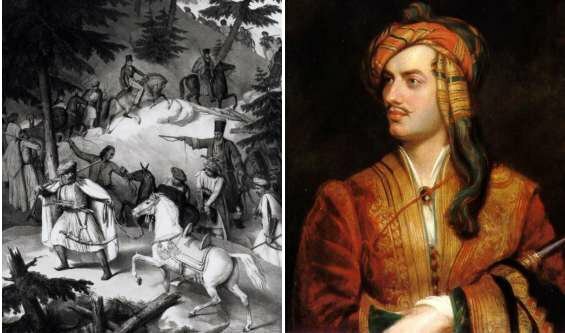 The atmosphere of the real east in Byrons works, for example, have the grounded knowledge of one who has lived in and experienced the east before he wrote about it. A False man found a religion? Why, a false man cannot build a brick house. At this point, the history of Turkey's projected image entered a new stage, becoming absorbed into Atatürk's modernisation of the Ottoman Empire. The understanding of a different culture is preceded first of all by an objective interest followed by an effort of will. The correction of false 'knowledge', however commonly held, is possible. For the interested, modern technology facilitates access to the sources of true knowledge. Learning about a foreign culture, besides being a fascinating pursuit, is also one of the major ways one can help create world peace and understanding, an understanding that is of vital importance in our troubled times. If we cultivate this desire and will, it will truly be worth the effort.